Measuring just 100mm x 80mm, SBC-FLT is one of the smallest single-board-computers in its class. SBC-FLT provides higher performance than Atom based SBCs in most benchmarks. The power of SBC-FLT is adjustable through BIOS. Typical power consumption of SBC-FLT is 5W to 10W. 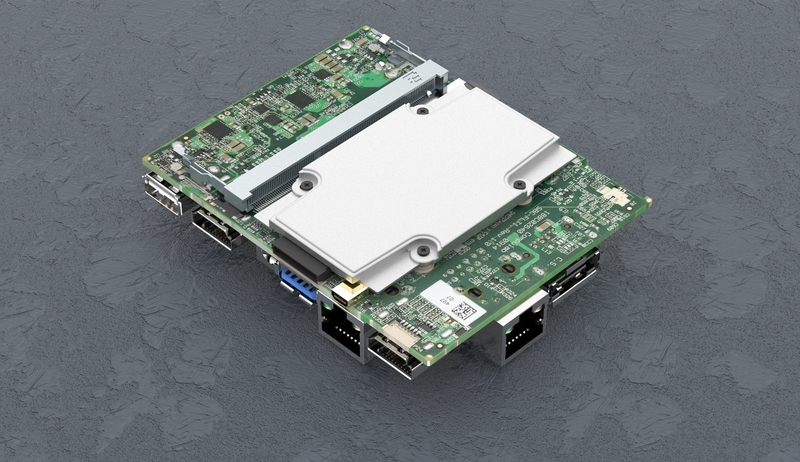 SBC-FLT has dual HDMI, 2 to 4 Gbit Ethernet ports, multiple USB3 / USB2, audio, serial and more. SBC-FLT is easy to extend and upgrade with an SODIMM DDR3L supporting up to 8 GB RAM, mSATA and mini-PCIe for WiFi or cellular data communication. SBC-FLT supports FACET cards for exending with custom functionality and I/O.